- Rang a hAon were coding! In late November 2011, the Board accepted a proposal from the Principal to introduce the concept of Forest School to RMDS. Forest School originated in the Scandinavian countries in the 1950s and since the mid 1990s is increasingly being supported in the UK and elsewhere. The Northern Ireland Forest School Association was set up in 2011. To date this particular form of outdoor education has not been pioneered in the Republic of Ireland. 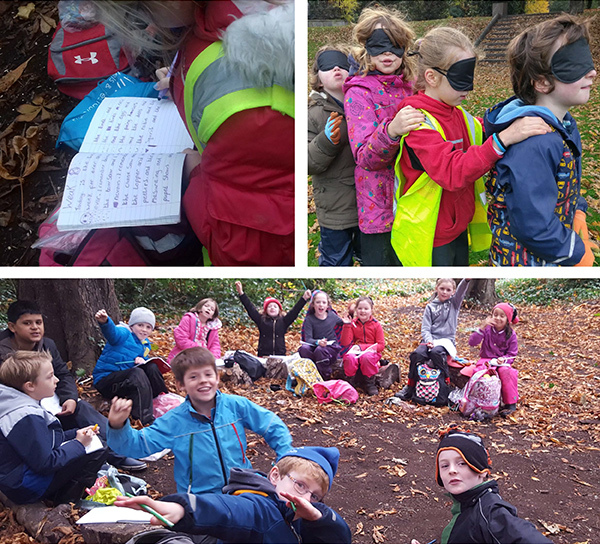 The key features include the use of a woodland setting over a sustained period of time, a low child/adult ratio, close ties to regular curriculum objectives and freedom to explore the multiple senses. Research indicates that children who spend time in natural environments undertake more diverse, creative and imaginative play, activities which form an important part of a child’s development. The fascination the woodland environment holds for young children means that this is a learning environment that capitalises on their innate curiosity. Physical skills are improved by the challenge of dealing with rough terrain, and by learning to handle tools and equipment. Furthermore, the outdoor setting is an innovative assessment tool for teachers and leaders to support their understanding of a child’s skills and abilities, especially for those children for whom the classroom setting does not provide an optimal learning environment. The low ratio of pupils to adults allows opportunities for child-led experiences in an unfamiliar environment that is safe. RMDS committed three adults to 15 pupils, a teacher, a classroom assistant and the Forest School Leader. The Forest School leader and the classroom assistant set up the activities and lead the sessions. The teacher takes the role of ‘reflective practitioner’ and observer. Thus the children become more accustomed to working independently from adults and the adults became better at letting the children take the lead. As one teacher said …it took a while getting used to not getting very hands on and that it was the children finding their own way of doing things and the ‘wrong’ way was ok. The kids really took to it but I think it took the adults longer to adapt. The school principal also takes an active role in the project, meeting weekly with the Forest School leader to review and plan for the following week. Close links to regular curriculum objectives - The success of this project is dependant upon the skills of the staff, who can identify the opportunities for learning that emerge from the children’s interaction with the setting. The involvement of the class teacher increases the potential for a transfer of learning to the indoor classroom setting. As just half the class are involved at a time, the remaining pupils benefit from an enhanced and individualised classroom experience. Freedom to explore the multiple senses - Forest School requires sustained contact with the woodland area. Each session started indoors at 8.30am and by 9am the children are outside. Children returned to the class at 11.45am. The weather has varied from snow to rain to warm sunshine. There were particularly positive outcomes for this aspect of the project. For example, one parent said…he wants to join the scouts and go out into the woods and light camp fires…Another said…x showed great enthusiasm for a hard cycle on holiday recently and instead of complaining said it was a great achievement. Each year there are three phases. The first two take place in a wooded area of a local tennis club beside the school. In the Summer term, senior infants have a six week series of lessons. 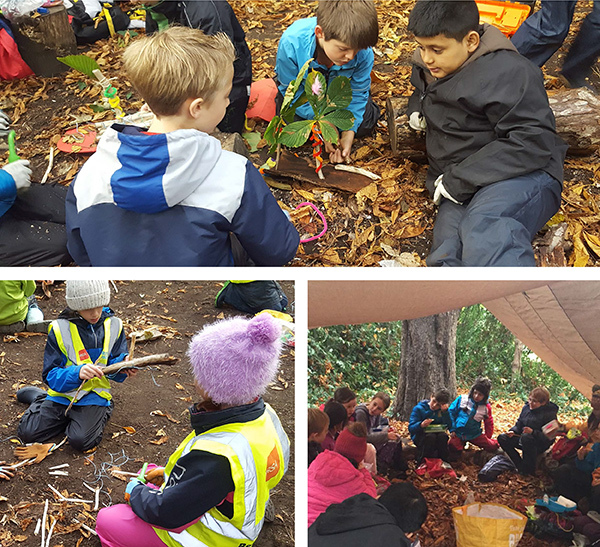 In the Autumn term, rang 2 have an eight week term in Forest school and the following Autumn term, in rang 3, they have a further eight week series of sessions in an off site location, currently Iveagh Gardens Park. The Forest School leader and the principal teacher attended Level Three Forest School training. Subsequently training sessions were provided in the school for the participating staff by the Forest School Leader and the principal.